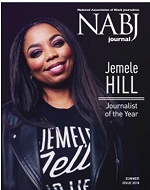 WASHINGTON (June 8, 2016) - The National Association of Black Journalists (NABJ) is proud to announce the finalists for the association's Professional Chapter of the Year Award. The nominees are the Baton Rouge Area Association of Black Journalists, the Greater Cleveland Association of Black Journalists and the Southern New England Association of Black Journalists. The NABJ Chapter of the Year Award is presented to a professional affiliate chapter for its accomplishments during the eligibility period. The criteria include but is not limited to the number of new members who have joined the chapter and NABJ, the chapter's community activities and programs and the number and size of scholarships awarded by the chapter. The Baton Rouge Area Association of Black Journalists (BRAABJ) has worked tirelessly to ensure that both local journalists and the community at large are engaged in an ongoing basis. The chapter hosted a breakfast meeting with New York TimesExecutive Editor Dean Baquet, the first African-American to hold that position. There was also a very successful "Secrets to Accessing the Media" workshop, designed to help nonprofits and small business owners be successful in getting their events covered by the press, learn how to write a news release and how to conduct themselves during an interview. The event has drawn more than 70 people each year. To engage students, there was a mentoring workshop with students from both Southern University and Louisiana State University. The community has also turned out in force for the chapter's annual scholarship luncheon in April, where they honored pioneering journalists and raised money for student scholarships. This year they raised nearly $14,000. 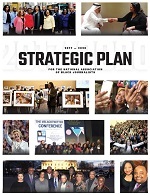 In a year in which the Greater Cleveland Association of Black Journalists was recognized as an official chapter of NABJ, the chapter hit the ground running as they endeavored to make an impact locally and nationally. Members assisted in the planning and hosting of a highly successful regional conference with Region II Director Vickie Thomas and the national office staff. Featured speakers at the event included Mayor Frank Johnson and Rep. Marcia Fudge (D-Ohio). The chapter regularly compiles and shares the recent works of members. The Southern New England Association of Black Journalists is only two years old and yet has already been named national co-chapter of the year. But chapter leaders and members are working to maintain momentum to do even better. They hosted a Social Media Mixer at NBC Connecticut, led by NABJ President Sarah Glover. Attendees learned about the importance of social media and how increase their reach and effectiveness. The chapter's first Student Forum was held at the University of Rhode Island and allowed students to be exposed to accomplished professionals across platforms. Dozens more attended a forum on race, which discussed in part how race is covered in the media. Journalists on the panel included ESPN Anchors Michael Eaves and Jemele Hill, and WBZ News Director Johnny Green. Lastly, SNEABJ held its first scholarship fundraiser featuring an auction of local artwork. It was highly successful, leading to the creation of three $1000 scholarships. This year's Professional Chapter of the Year will be announced at the Opening Ceremony on August 3rd during NABJ's Annual Convention and Career Fair in Washington, D.C.